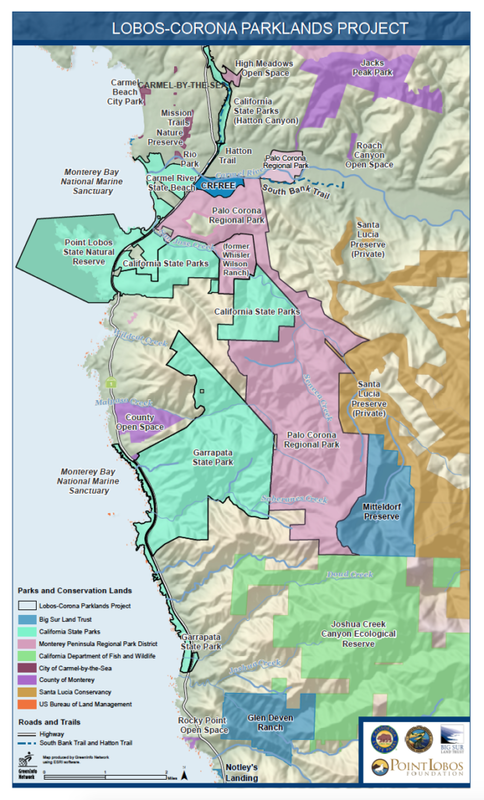 Big Sur Land Trust, Monterey Peninsula Regional Park District, California State Parks, and the Point Lobos Foundation created the Lobos-Corona Parklands (LCP) project by signing a Memorandum of Understanding (MOU) in 2014. Our integrated eﬀorts will beneﬁt the public and promote the preservation of parklands and open space between Carmel and Garrapata State Park. 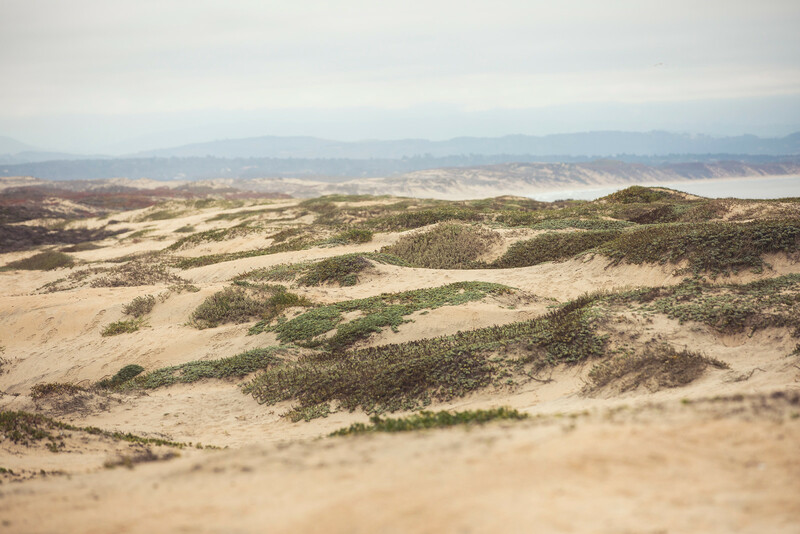 These 10,000+ acres host some of California’s most spectacular coastal areas and vistas, abundant wildlife, diverse habitats and profound historical and cultural resources. The group envisions LCP as the next great parks and conservation landscape in California, while putting a priority on responsible visits and enduring care for the land. Through this collaboration we also hope to advance the concept of green infrastructure – a network of conserved lands, parklands and urban green spaces to be enjoyed though easy access to trails, special nature preserves and visitor centers.